Emmy Lake thought she was applying for a journalist position at a newspaper, but instead finds herself typing letters for advice columnist Henrietta Bird in WWII London. When Mrs. Bird refuses to answer some letters due to their unpleasant nature, Emmy takes it upon herself to try to help. I absolutely loved this charming book and flew through it in just a few hours. It was a wonderful combination of heart and humor, lightheartedness and deep emotion. Emmy is a lovely main character - she's spunky and plucky, always wanting to help others but maybe not going about it in the right way. I loved her empathy for the people writing letters to Mrs. Bird, hoping to get advice. It's wartime and people have all sorts of new concerns and problems, but they're also still facing life's everyday problems. Emmy doesn't think it's fair to ignore them, so she starts writing back to them, without Mrs. Bird's permission. In 1946, author Juliet Ashton receives a letter from a man purporting to be a member of the Guernsey Literary and Potato Peel Pie Society, which begins her journey of learning about this German-occupied community in the British Isles and how its inhabitants coped during the war. I thought this book was lovely, particularly the first half when Juliet starts corresponding with members of the Guernsey Literary Society. Although the society started as a fluke, the members really came to rely on it, and I enjoyed reading about how books got them through tough times. Each character was richly developed and had a unique backstory. One of the best characters was a woman named Elizabeth; although she doesn't write any letters in the book, we learn about her through others. She was clearly a big part of the community and a hero. I'll have to check out Dear Mrs. Bird. It sounds like something I'd enjoy. I really liked Guernsey. Did you see the movie on Netflix? It was so good! I haven't seen it yet! It's on the list! I definitely think I need to go pick up Dear Mrs. Bird soon, it sounds wonderful! 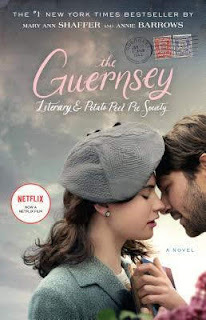 I LOVED The Guernsey Literary and Potato Peel Pie Society! From your review, I'm definitely going to have to check out Dear Mrs Bird as well! I've seen a lot of people talking about The Guernsey Literary and Potato Peel Pie Society movie but I haven't heard much about the book! I may have to give this a try! I haven't seen the movie yet, but I probably will at some point! Thanks for confirming that I REALLY need to read The Guernsey Literary and Potato Peel Pie Society! I hope you enjoy it, Emma! Yes, they were really promoting it a lot! I'm so glad to hear that you enjoyed Dear Mrs. Bird so much. Its been several years since I read GLPPP, but I definitely enjoyed Dear Mrs. Bird more. This was a great idea pairing these two mini reviews together. I get so thrilled when I see people review and love Dear Mrs Bird -- that book was just such an unexpected gem! It really was! I think I found out about it from your blog, so thank you! Lovely reviews, Angela. I’ve read the first but not the latter...and I own it, so I need to! I'm glad to hear both of these were great reads for you. 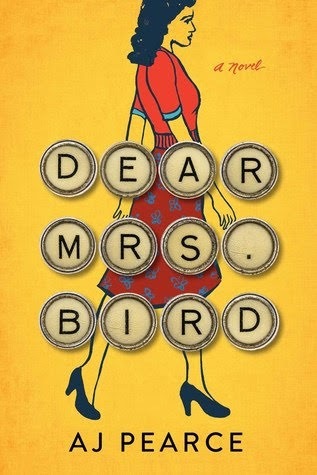 I really want to read Dear Mrs. Bird now. Yay, I hope you enjoy it! Ooo, I want to read both of these. I am glad you liked them both and makes them a little bit higher on the to get list. I have so many there. Great reviews! Makes me want to order them up and I just might! Aww, thank you, Mary, that's awesome to hear! I haven't seen the movie yet - one of these days! I'm so glad you stopped by, and I would love to hear your thoughts! Comments are always greatly appreciated! Welcome! My name is Angela, and I love books! Have a look around!